This Christmas, Michelle Madow has a present for YOU! She put together a "Transcend Time Bonus Packet," complete with a sneak peak of the first five chapters of Remembrance, a bonus scene for Remembrance, a deleted scene from Timeless, character interviews, and essays she's written about the series. 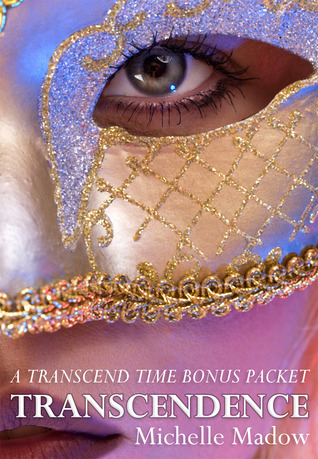 This Bonus Packet is called Transcendence, and she is giving it away for FREE on Smashwords. The Transcend Time Saga is about a high school student named Lizzie who has been reincarnated from Regency Era, England, but doesn’t realize it until she meets her soul mate from the past and he triggers her memories to gradually return. The series began with Remembrance (published July 25, 2011), was followed by the short story Vengeance (published December 8, 2011), and concluded with Timeless (published November 20, 2012). The series has sold a significant number of copies, and has received much praise from reviewers.